Corvette performance modifications in San Diego. Your Corvette represents the pinnacle of performance in its era. Here at the Corvette shop of San Diego, we confidently restore and repair C1 - C6 corvettes, but we also love making them perform better. Increasing horsepower is a passion of ours, we developed the C5 8.1 liter engine swap. One of our more recent builds is the 1957 Corvette with a one off supercharger setup linked with original mechanical fuel injection. Looking for a performance parts center? We can order any combination of parts and will also suggest the best combination of performance parts for your Corvette. Real world experience, real world power. 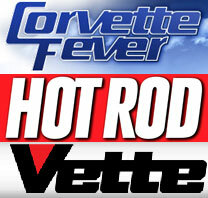 The Corvette Shop of San Diego services and repairs all model years of Corvettes. Is your Corvette not running the way you want it to? Whether you need a tune-up or a full engine rebuild, the job will be done right... Guaranteed! The Corvette Shop has been in San Diego for over 20 years. 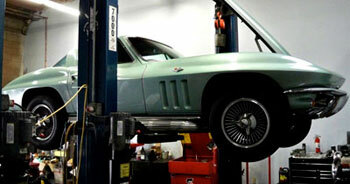 We have over 40 years of combined experience servicing and repairing Corvettes. Whether your car is a classic C1 solid axle 1953 or the new 2013 ZR-1 C6, you will be pleasantly surprised with our competitively priced Corvette service and repair prices. In fact, our prices are typically less than the dealerships for the same service or repairs. Trust your Corvette to the experts.